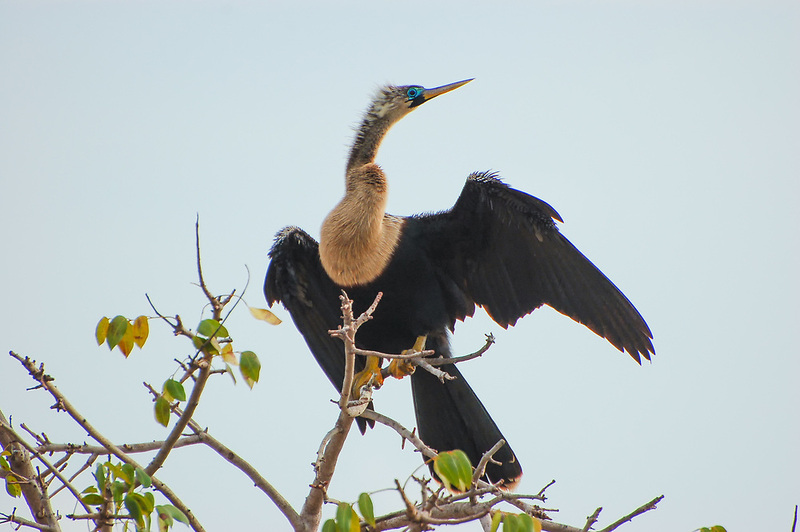 Also known as the snakebird, the anhinga is a common fish-eating bird found along the coasts and interior of Florida and as far south as the Southern Amazon in Brazil. This female is in full breeding plumage on a warm spring day in Fort Myers, Florida. Note that beautiful blue eye-ring!